Winston Churchill. Let us believe in Victory. Let us read the writing on the wall before it is too late. I have two confessions for today. One, this blog will contain nothing at all that is new. Two, I see myself as a failure in a certain way. Winston Churchill is rightfully regarded as a hero of World War Two and one of the main architects of the victory of the Civilized World over the Third Reich and the Nazi dream of a new world order. And yet Churchill considered himself a failure. Had Churchill succeeded to convince Great Britain and the civilized world of the dangers of Nazism, odds are that none but students of history would ever know his name. He only became known because he failed in his attempt to prevent the war. Had he succeeded in convincing others about the dangers that Hitler posed, there would have been no great war, Churchill would never have become Prime Minister of Britain and the leader of the war effort and no one would ever know the great success he achieved in preventing a war that led to the deaths of more than 65 million human beings. In the 1930's, while out of office, Churchill called for British rearmament to counter the growing threat of Nazi Germany, he failed in these efforts. War broke out, the failed Neville Chamberlain resigned, Churchill became Prime Minister and the rest is history. Later on he also warned of the growing threat of Soviet Communism and influence in Europe. He called for European unity. Clearly this was a man who was reading the writing on the wall and aware of threats and dangers. We need more men like him. Today I am in California, far from home, and I read of the tragic murder of a young Jewish Israeli woman, daughter of a rabbi. She lived in a town where I know many people. It is still early in the investigation but I understand that the circumstances of her death were brutal beyond words. I will spare the reader. The heart is mortified, the soul is shaken and the pain is too great to bear. Others are sharing this story on social media, I am not; what message can I send? what more is there to add by posting the tragic news? I believe and have often stated that the response to pain must be action. Many in Israel are calling for the government to institute the death penalty for terrorists, I do agree, but again that is the shifting of blame to others. We know that our enemies will not be deterred by this just as we were not in the days before the establishment of the State of Israel. The death penalty for terrorists is just, but it will not solve the problem, and it can lead to more problems. Calling for the prime minister to do more is great, but that is just too easy, it absolves us from taking real action. We make our protest, we post on Social Media, and go back to our lives. It is not enough I say. We have an individual responsibility. But this we wish to avoid because it involves the E word, Effort! We simply do not want to make the effort. This young woman was violated, murdered and then disgraced after death. It is too brutal to describe. 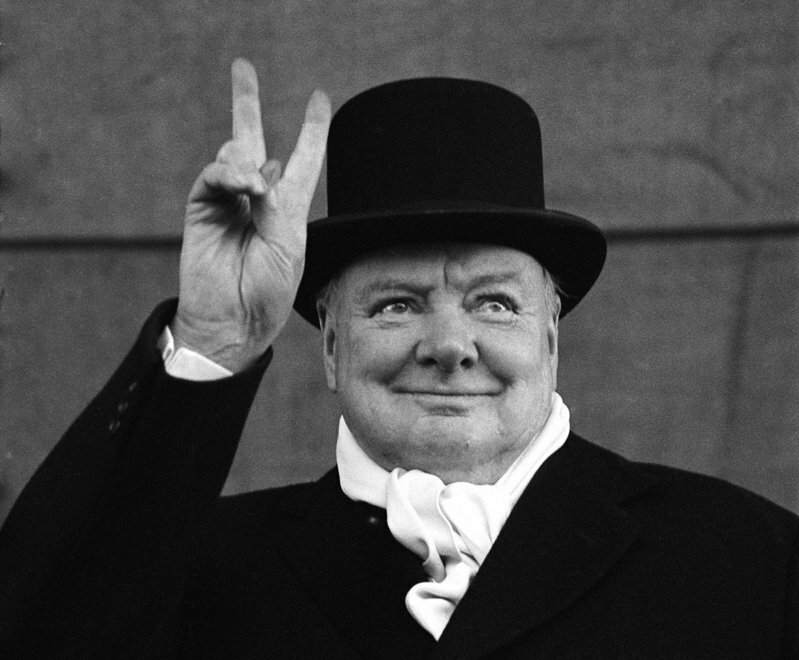 I posted here a photo of Winston Churchill with the Victory sign rather than the photo of the 19 year old beautiful woman, beautiful inside and out, as that is simply too difficult to bear. What I am calling for? ACTION - on your part. And here is where I, and my colleagues in the self defense industry, have failed. We have failed to get your attention. We have failed to bring you into our classes, we have failed to convince you of the growing dangers just as Churchill failed to convince the world of the dangers of Nazi Germany. No self defense system is perfect and there are no guarantees in life. However, odds favor the prepared. I have spend more than 30 years developing a system that is easy to learn, easy to apply and easy for all types of people to remember and use. It is your Krav Maga, designed with you in mind. But you need to take action, you need to take the first step, you need to come train. The consequences of not listening to Ol' Winnie, Winston Churchill, was a war that led to massive destruction. The consequences of not training in self-defense, well, you know, you already shared it on Facebook.